Since 2004, teams on the Mongol Rally have raised getting on for £2 million for charity – no mean feat. You can find out how the charities make excellent use of this money by clicking here. As a team on the Mongol Rally we have committed to raising a minimum of £1,000 for charity, at least £500 of which goes to the Lotus Children’s Centre Charitable Trust, the Official Rally Charity for 2012. All the money we raise we pay directly to the charities, so everyone knows exactly where their donations go. Oh, and we have to fly home too, as our bikes are sold for charity once we arrive. Nick Plotnek’s primary chosen charity is the Heart Unit at the Birmingham Children’s Hospital. Birmingham Children’s Hospital sees a quarter of a million sick children each year, of which 10,000 are seen in the internationally-renowned Cardiac Unit. Approximately 80% of the surgery undergone is open-heart procedures, of which nearly two-thirds are performed on children under 12 months old. At Birmingham Children’s Hospital they treat a whole spectrum of children’s heart problems, including conditions that really aren’t treated anywhere else in the UK. It’s here that they endeavour to offer a normal quality of life, where previously there may not have been any option at all. Some of these children are diagnosed before they are born and are often transferred to BCH straight away and have operations before they are 24 hours old. The Cardiac Unit needs funds to allow them to carry on giving the best care possible to some inspirational children. Any donations will make a big difference, and the money raised could help to purchase new Sure Sign monitors (£2,000) or new cots for easier patient transportation (£2,500). It could also provide comfort items such as electronic games and TVs, or go to maintaining and improving the overall healing environment which makes a big difference to the children. You can learn more about the appeal here or click on here (or on the Just Giving Logo alongside) to show support for the Birmingham Children’s Hospital and Nick on his adventure! Kevin Strickland’s chosen charity is First Aid 4 Gambia. First Aid 4 Gambia has targeted First Aid training and equipment for staff and helpers at schools and nurseries in The Gambia. By donating money you will help their team continue their valuable work. You can learn more about the appeal here or click on here (or on the Virgin Money Giving Logo alongside) to show support First Aid 4 Gambia and Kevin on his adventure! 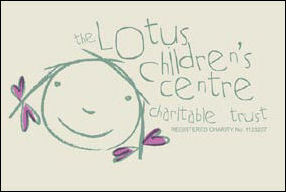 The official Mongol Rally charity for 2012 is the Lotus Children’s Centre Charitable Trust. The LCCT is a Mongolian non-profit, non-government organisation working with vulnerable children and families to provide the basic human rights of shelter, food and education. They care for up to 150 abused, orphaned and abandoned children at any one time. Initially set up to provide basic needs for survival for just a handful of children in one apartment, Lotus has developed a kindergarten and a primary school to provide educational foundation, and is developing vocational pathways for employment opportunities.